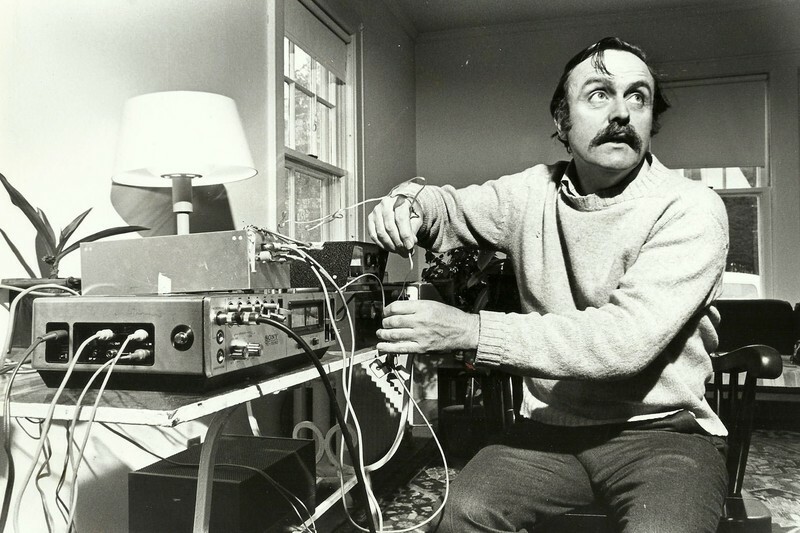 Alvin Lucier: Do Something Original | Tape Op Magazine | Longform candid interviews with music producers and audio engineers covering mixing, mastering, recording and music production. 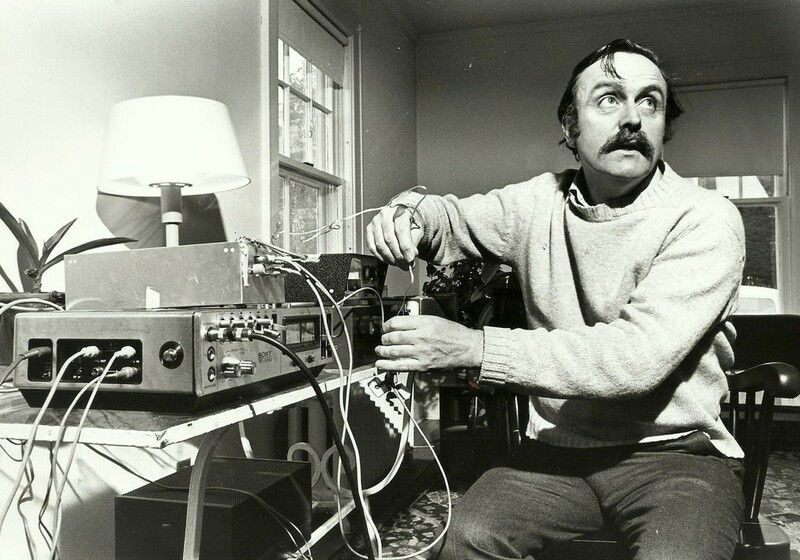 Alvin Lucier is one of the most influential composers in the post-John Cage era. Having authored over 172 pieces for film, theater, television, and dance companies, it is fair to say that he is prolific. At the age of 87 he continues to produce new works, his latest involving sending his heartbeat to the moon. His experiments and compositions with speech and acoustics over the past six decades have changed the way we hear and utilize sound. 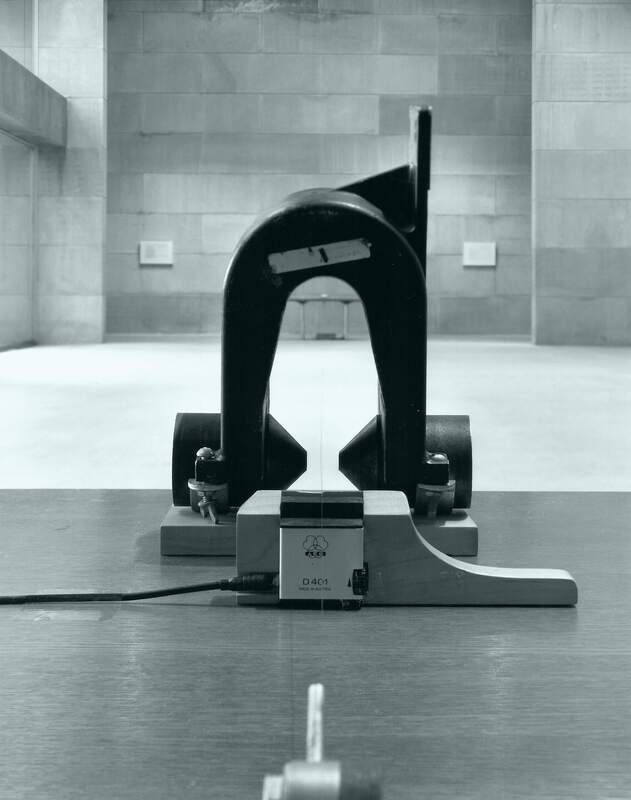 His 1969 sound art composition, "I Am Sitting in a Room," famously utilizes re-recording of a spoken text into a room or space, and continues as the recording quality, speakers, mics, and room resonances mutate the material and sound into something new and fascinating. The piece remains the gold standard for this type of project. I am just sitting here, outside, listening to the wind. It is lovely. 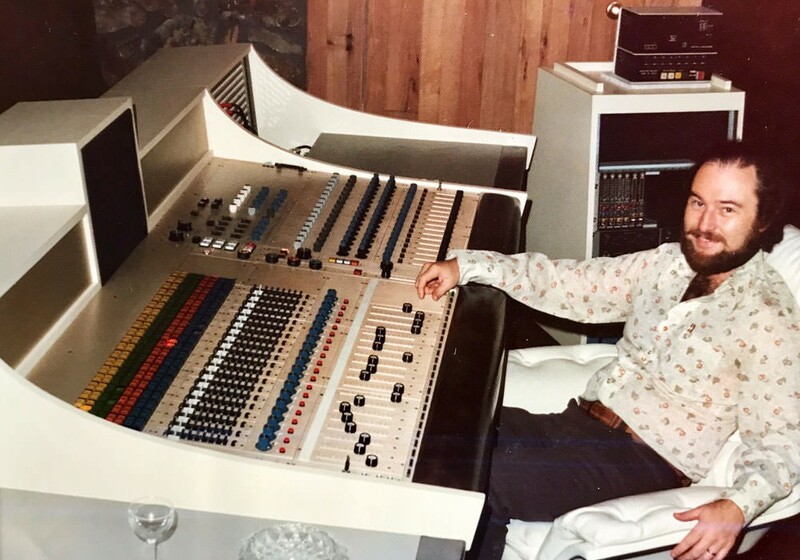 You have an incredibly insightful quote, "The best way to produce variation in the sonic phenomena was to pick a setting and leave the setup alone." I was watching a chef on television who said, "Just let the pan do the work." People are constantly stirring and poking at the dish as they cook. I just let the room do the work. I was working with an engineer to get the setup for my moon bounce piece. He was showing me all the various sounds you can get with pickups and so on. I said, "You're trying to manipulate it." The whole point of the piece is bouncing sound off of the moon. It will be hitting different spots as the moon spins around, hitting each location with a huge delay. The sound should change, and I want to let that happen. If I start fooling around with the sound before it even goes up there, the whole piece doesn't make any sense. Do you care about microphones, such as using certain types or models? No, for me they are just a means. When I did my first piece at Brandeis University, they used a special binaural microphone, but I never asked for it again. I'm not interested in that. I'm interested in other phenomenon. I don't have a favorite way of recording. How much resistance have you run into from engineers who think they know the "right" way to do it? We did a piece in France for 30 people. We set the speakers all very carefully on the ground throughout the audience, as we wanted it to be like they were listening at home. When we came back from dinner, the engineer had moved and hung the speakers in all four corners of the room to project the sound at people. I had an experience with my sine wave and piano piece ["Music for Piano with Slow Sweep Pure Wave Oscillators"]; the engineer just couldn't stand it and started tweaking and tweaking things in the middle of the performance. I said, "Why did you do that?" It was all about ego. I had this student once who would always get up in the middle of this big class and change the volume of whatever was playing. It's power and ego. That was just his idea of what he wanted to hear. I always like to set the volume and allow things to go by themselves, as they are, and evolve. You have used the body in many pieces, like galvanic skin responses and brainwaves. I'm not really interested in the body. I just want pieces of music. My brainwave piece ["Music for Alpha Waves, Assorted Percussion, and Automated Coded Relays"] was simply a way to create beautiful, resonant, low thunderous sounds that activate percussion instruments. That piece is more about the response of certain instruments. A big tam-tam needs a lot of energy to make it sound; only the loud pulses really make it work. A smaller drum, a snare drum, is very easy to make resonate. The birth of an alpha is uneven, and it causes instruments to vibrate in different ways. The most important thing about the piece is that I didn't exert any control. My skin galvanic piece ["Clocker] was that way too. When I make pieces now, I have to make sure that I do not exert personal control. I like the idea of non-control. I had an early piece called "Carbon Copies." I asked people to listen and play back exactly what they had heard. If a player starts improvising, you can hear it immediately and it spoils the whole thing. I just went and heard a beautiful performance of one of my new pieces. When you strike a pitch on the piano, two strings start vibrating at the same time. I had the piano tuned so each string was slightly off. When one piano plays against the other, there is a beautifully complicated beating. Each pitch has a different cell. While they were rehearsing the piece, the musicians were playing like they were playing romantic music, where they lift their hand up and then it comes around and down dramatically. That distracted me; it had more to do with trying to make a poetic gesture than the music. I said, "Don't do that. You've gotta just do the task at hand. Play the chord. And then play the next one when you feel it." I am learning about performance practice in my pieces. When you talk about not wanting to exert control, why is that goal so hard to achieve? I just got a recording of a piece for a cellist. The point of the piece is that players play against these sine waves that go down and then come back up. The last note one of the wind players hits is one of those enormously high notes that is really hard to reach. You can hear his exertion – you know he is showing you how hard he is really trying to do it – and that spoils the whole piece for me. Some composers love when people notice how hard it is for the musicians to play their music. [laughs] My pieces are not about bravura performance or ego. "They felt the need to go somewhere out of their anxiety. They had to make a change. But that’s the exact point when you have to stick to the problem at hand." You grew up in New Hampshire. I'm curious how the sounds there affected you? I just went back there on my 87th birthday. I went to where I used to go to summer camp. When I was seven or eight, up in the woods, I heard this bird call modulated by the trees; this spatial echoing. That was a big image for me; a major sound memory. I remember reading a book, The Death of Virgil [by Hermann Broch], about coming into shore on a boat. I've tried to hear what they were describing so vividly. There is this one huge percussion piece, with everything but the kitchen sink, but you play it all with your fingertips – in contrast to European bombast. The composer was on the beach, and he could hear the wind carrying little bits of sounds – transistor radios, laughter – and he was trying to capture those fragments. I was chairman of the music department years ago [at Wesleyan University], and we had a master come in and demonstrate the guqin, the ancient silk-string Chinese instrument. It wasn't about projection of sound; they played for themselves, very quietly. You could barely hear it. At certain points you can even stop playing and just imagine that you are playing. I love that idea. I went to a performance with another composer, and he said, "We are so far back. I can't hear anything." I said, "Of course, we can hear it. Just lean in and pay attention." This guqin player was amplifying it in a small hall with the cheapest RadioShack speaker. I said, "Can you please play one song without the amplifier?" He said, "You won't hear it." I said, "I want to hear silk strings, nakedly. I don't want to hear them through a terrible speaker. Don't you know about the degradation of sound, even through beautiful speakers?" So, a big question for me has been when to amplify, and when not to amplify. When do you think is the right time to bring amplification in? I was watching a performance in Berlin, and I could hear the blurriness, even with a tiny bit of amplification. You have sound coming from a middle point, and the speakers are a hundred feet apart. Things get blurry. I don't think they should have amplified that performance at all. I sometimes have to use amplification, otherwise certain sounds I use don't exist to the human ear. I had to use amplification for a "Music On A Long Thin Wire." Without speakers, you couldn't have heard anything. You have to be very careful; it's become political now. Everyone wants to be amplified. I was in Philadelphia with this big jazz guy. He had 11 players. All night, as he played, he kept pointing to his speaker wanting it to be stronger, but each time they'd have to lower something else. It became a game of stupid. When I was the chairman of the university music department, the phone rang at ten minutes to eight one night, and they said, "You've got to come in right away. The musician won't play." He was a north Indian tabla player. They said, "The flautist has a microphone, and the master doesn't have a microphone." I said, "He's a percussion player. The flute is quiet." They said, "That doesn't matter. He won't play." I got there and the audience was sitting around waiting. I went into my studio and grabbed another microphone and a stand. When I got onstage, I discovered that I didn't have the right adaptor. So, I simply stuck the cable under his amplifier and didn't connect it to anything – I cheated. But he was happy and he played. It was just ego. He wanted a microphone, even if it wasn't on. That's my first confession in my book [Music 109: Notes on Experimental Music]. You've worked a lot with phase interference between closely tuned pitches and how they affect one another. When two notes are very close, they begin to spin in the space. They indeed move. The sine wave sweeps up from the low frequency to the high and as the wavelengths get shorter and shorter. At about the midpoint, you can hear as the waves are very close together; the movement from left to right, or right to left, across your head, and it is natural movement. You can simulate that, but I don't have to do that; it happens by itself. It's quite a beautiful phenomenon. Close tuning strategically creates resonance. In my pieces, something has to move – usually the sine wave. Then the player has to start again before the unison. The beats start fast, slow down, stop, and sweep up on the other side. Those are the kinds of gestures that I can employ. I create these pieces where there is a kind of beating. They are not just ornamental. I take something that you might hear for two or three-seconds as an accident in a traditional piece, and instead make it the center of the composition. It reminds me of the dynamic of "dangerously similar others." Like how family members can often be at each other's throats. Counter-intuitively, there is often more tension, the more there is likeness. That dynamic is a commonality studied in most genocides. Very interesting. I didn't know about that. I heard that you studied with Aaron Copland. How did classical training benefit what you do? When I was at Yale, I had a teacher that gave me an exercise. He gave me a piece with 40 voices and I had to fill in 39 of them from hearing just one. I liked the puzzle of filling in empty scores. You talk about discipline: my friend, Christian Wolff, studied with John Cage. Cage gave him an exercise to make an entire piece with only three notes. It's hard to write a piece where you are not all over the place. I taught first year composition, and people would often suddenly go up an octave. And I'd say, "Wait a minute. That's a different note entirely." But they felt the need to go somewhere out of their anxiety. They had to make a change. But that's the exact point when you have to stick to the problem at hand. To commit. To be precise. Sometimes when the options are too plentiful, they become restrictive. Yes. Igor Stravinsky was writing for [George Balanchine's ballet of] Orpheus. He asked how long it took the character to die onstage. Stravinsky watched the performer and counted 1-2-3-4-5 and timed the music to the character's actions. That idea was demystifying. He was so exacting. He didn't say, "How does it feel," or, "What is the emotion?" He asked, "How many seconds does it take?" It gives you an idea of that level of precision. You witnessed John Cage in Italy in 1962? It blew my mind. I was on a Fulbright scholarship as a neoclassical composer. While I was there, they let me go to Venice. I went to this concert at the Teatro La Fenice opera house. John Cage rose up with a piano and David Tudor walked down the aisle, right under the piano, whacked it with a cane, and said, "Now I'm a composer." John Cage was crazy. It was the first time in my life that an American guy was teaching Europeans something. Everything I'd ever studied was [Béla] Bartók or [Franz] Schubert. To finally have an American composer, who was giving these other composers something to think about, was so inspiring. Cage came and told funny stories. Everyone else would give all these serious talks and lectures, "I'm a ‘composer,'" and this and that, talking about traditional music theory. John Cage was funny; it was refreshing and wonderful. For someone who was studying such complex music in Europe in the early 1960s, how did you and your peers view The Beatles? I was teaching at Wesleyan, and all of the students suddenly wanted to write music. Especially the males. Overnight, it was an overwhelming change in interest. We were all knocked out by what The Beatles were doing. I just wish I could have related to it a bit more. During this performance, Alvin Lucier will have a dialogue with a spider and its web. Then Alvin Lucier's heartbeat will be picked up by a special sensor, routed through the silk strings of a guqin, and transmitted to the Moon. It takes approximately two-and-a-half seconds for each heartbeat to bounce back to Earth, depending on the irregularities on the surface of the Moon. 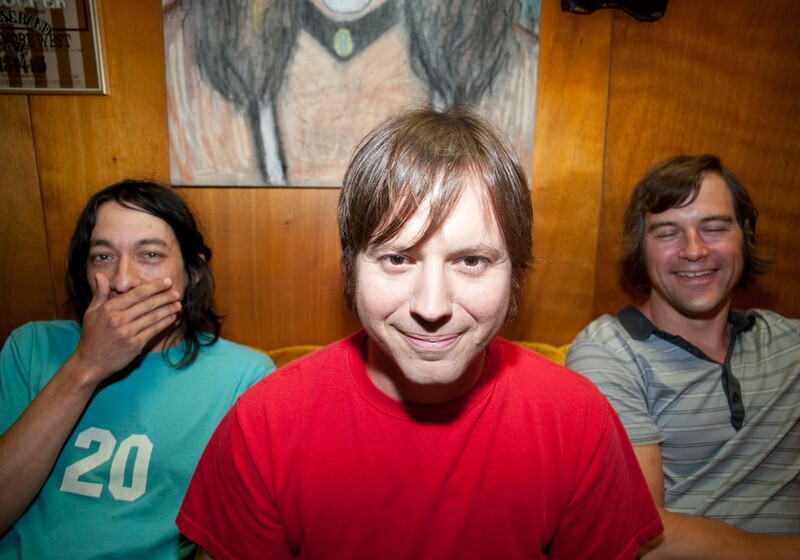 What popular music do you like? I grew up with jazz – with Sidney Bechet, Duke Ellington, and all those guys. My sisters were teenagers in the ‘40s, so they were listening to a lot of Tommy Dorsey and Glenn Miller. I try to keep up with the new guys that are happening. I heard a new piece by Pusha T that I thought was quite wonderful. 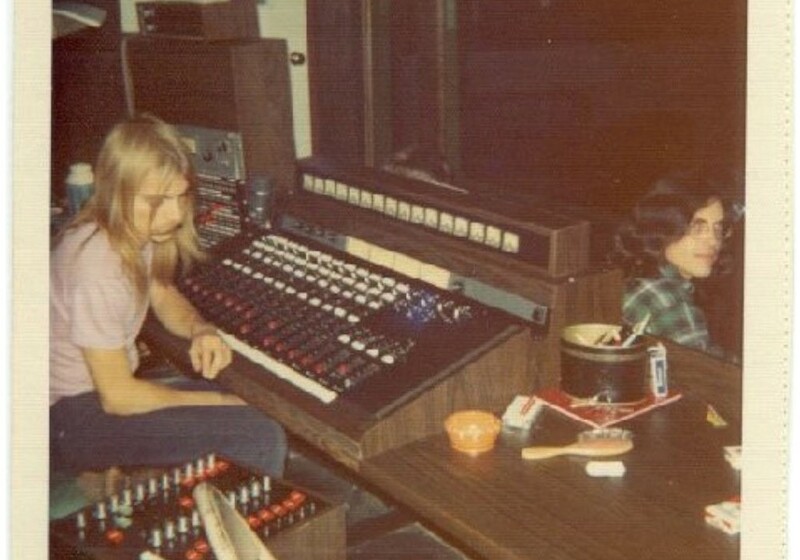 I have been working with Yo La Tengo [Tape Op #126], a little independent band. I didn't think it was such a good concert, but the rock and roll guy from The New York Times thought it was wonderful. [laughs] I feel a little bit sad that I can't connect with the pop world, because my music is so specific. 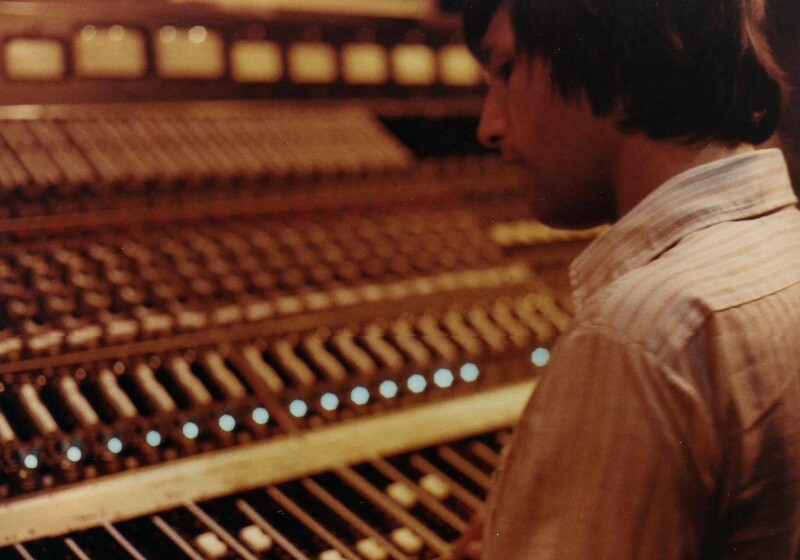 Philip Glass and Steve Reich [Tape Op #15] can go right into it. Many people view physical matter as an obstacle. But you have used it as sound transmission – exploring how walls influence sound as filters, and more. One early piece I wrote was about echoes. I had been witnessing the concerts in Piazza San Marco. The orchestras of competing cafes would mimic each other. I decided to do a real echo instead. My echolocation piece would have a pulse go out and bounce off a wall one-second later. I could then measure space that way. I've always been interested in space and time equations. I'm more a composer than a theorist, though. I simply use elements as triggers to then experiment with. I was in Boston for my two pianos piece. I was sitting way up top of the balcony. This piano tuner came in and was hitting these high notes with a beautiful reflection. No one else seemed aware of it. I'm going to make a piece for her; the piano tuner. No one ever talks about that as a resource. I love those extremely loud echoes. What are some sonic frontiers still to be explored? I never liked psychoacoustics. It's too controlling. Like if you make a piece all with low frequencies to try to make someone feel a certain way. That's a fascistic idea. Now it's like gardening. With technology, everybody has their own plot of land, and anyone can make pieces. People are doing concerts in their own houses. One thing I don't like is extremely loud noise pieces – I think it's a thing of the past. Maryanne Amacher talked about sound coming from within your own ears. There was a piece where it's all phantom images of a birdcall, but the whole piece happens inside your ear. It can't be recorded – the ear makes its own sound, and each person has their own frequency responses. It's all a surprise. John Cage came to my school – they gave him a lot of money to visit – and they said, "What if we started an experimental music school. What would it be like in 15 years?" And he said, "I don't know." That didn't go over too well with an institution. [laughs] People often want to build a new space, but I don't like that idea. I like hearing music in various different spaces. Once you settle, you're locked into the acoustics of that one hall for everything. How do you feel about playing music outdoors? I tried having a player hundreds of yards away; it didn't work too well. I rely on reflections from somewhere, and with outdoor sounds you have very little. I think about Pierre Schaeffer, and how his experiments are now available to almost any kid with a laptop. How has technology benefited and/or hindered creativity? The pieces I hear coming out now are very elaborate, but they all sound very similar. I tell people that they should sabotage the software programs and use them in a subversive way. Computers are a wonderful idea, but you have to do something original with them. 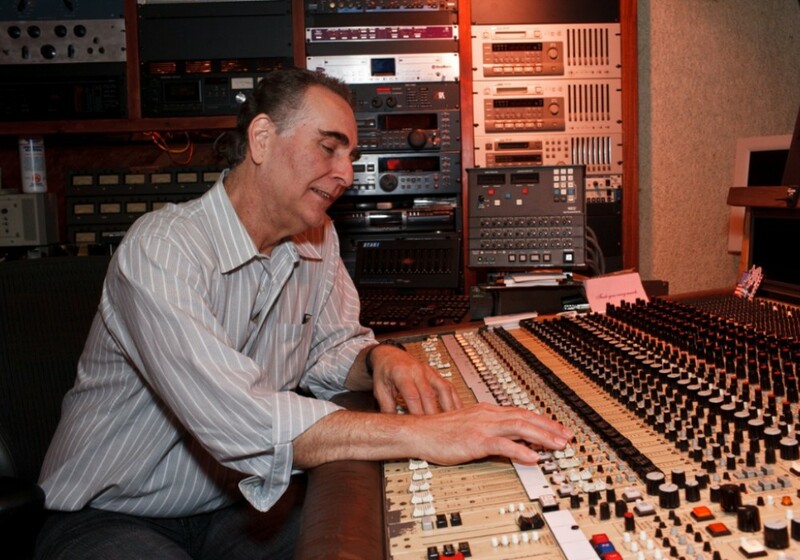 That's my idea of making music – you have to do something original, or why bother? Ian Brennan is a Grammy award-winning music producer (Tinariwen) and author. His fifth book, Silenced by Sound: the Music Meritocracy Myth, will be published in the fall of 2019. His most recent projects are the Tanzania Albinism Collective's 7-inch single for Jack White's Third Man Records, and the Malawi Mouse Boys fourth album, Score for a Film About Malawi Without Music from Malawi.